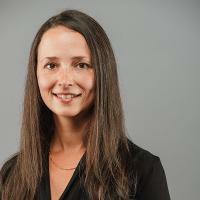 Bethany Hastie is an Assistant Professor at the Peter A Allard School of Law, University of British Columbia. She joined Allard Law as a Lecturer in 2015, after completing her doctorate at McGill University under the supervision of Professor François Crépeau. During her doctoral studies, she held a SSHRC Canada Doctoral Fellowship and an O’Brien Fellowship in Human Rights and Legal Pluralism, and was a member of the Centre for Human Rights and Legal Pluralism and Institute of Comparative Law. Professor Hastie’s research examines issues attending precarious labour in the intersecting spaces of labour and employment, migration, and human rights law. Her work has explored these issues in relation to migrant labour, domestic work, labour exploitation, gender and work, and employment discrimination. Her scholarship has been published in legal and interdisciplinary journals and edited collections, and has been presented at several conferences and workshops. Her work has also led to engagement in policy and advocacy projects with a variety of organizations in Canada and internationally. Bethany Hastie, “Réflexions sur les contours flous des limites entre travail domestique et servitude” (2017) 41:1 Anthropologie et Sociétés 107. Julie Kaye & Bethany Hastie “The Canadian Criminal Code Offence of Trafficking in Persons : Challenges from the Field and within the Law”, (2015) 3:1 Soc Inclusion 88-102. François Crépeau & Bethany Hastie “The Case for ‘Firewall’ Protections for Irregular Migrants : Safeguarding Fundamental Rights” (2015) 17:2-23 Eur J Migr & L 157-18. Bethany Hastie and François Crépeau, “Criminalising irregular migration : the failure of the deterrence model and the need for a human-rights-based framework” (2014) 28:3 Journal of Immigration, Asylum and Nationality Law 213. Bethany Hastie, “To Protect and Control : Anti-Trafficking Strategies and the Duality of Disciplining Transnational Movements” in Martin Geiger and Antoine Pécoud, eds. Disciplining the International Movements of People (New York : Palgrave Macmillan, 2013). Bethany Hastie, “Doing Canada’s Dirty Work : A Critical Analysis of Law and Policy to Address Labour Exploitation and Trafficking” in Ato Quayson and Antonela Arhin, eds. Labour Migration, Human Trafficking and Multinational Corporations (New York : Routledge, 2012). Bethany Hastie, « Migrant Work and “Permanent Temporariness” : A Fine Line between Abuse and Forced Labour ? » 8 January 2014. Bethany Hastie, « In the “War” Against Human Smuggling, Who Is Paying the Price ? » 29 January 2013. Bethany Hastie, « The Protection of Internationally Trafficked Persons in Canada : Critical Gaps in Immigration Policy » 7 December 2012.